Give that Dog a Bone ! 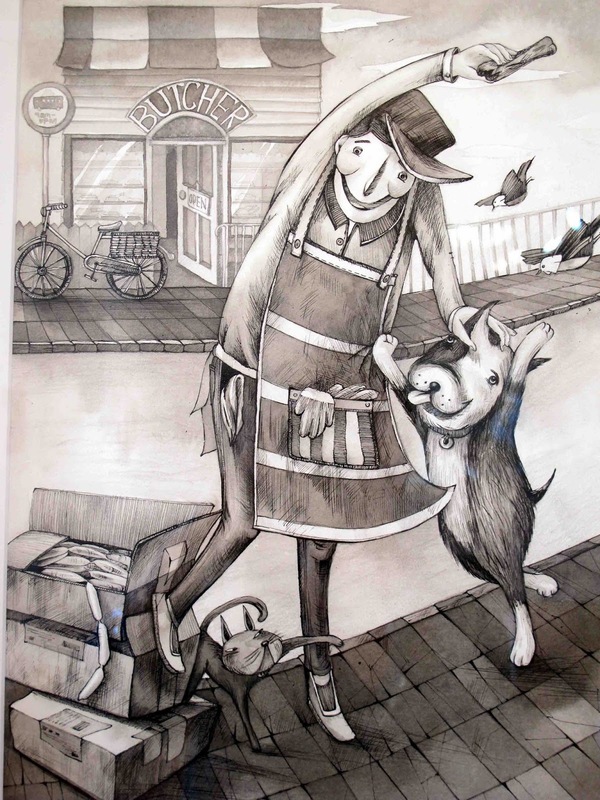 This is just one of the delightful children's book illustrations on display at the Lake House Arts Centre until Sunday March 30. This limited edition print, by Sara Lee is one of my favourites. It is part of a series to illustrate the poem "I knew a dog to dance" and her brief was that the dog needed to be loveable and dopey. In case you feel like dropping by, to enjoy the exhibition and a coffee, The Lake House Arts Centre is at 37 Fred Thomas Drive,Takapuna. 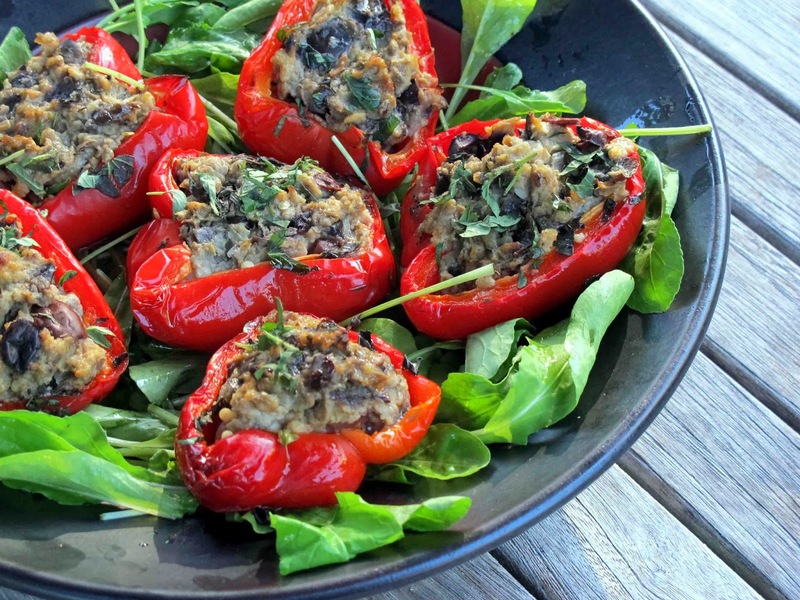 These aubergine stuffed red peppers were inspired by a vegetarian meatball recipe which I found on the net. I tweaked the recipe. The basil was replaced by a handful of fresh origanum. The olives I used had already been marinated in balsamic so I didn't use the balsamic vinegar specified in the recipe. And I left out the lemon rind but added some parmesan cheese. The meatball mix was a little on the sloppy side so rather than struggle to roll it into balls I decided to use it as a filling for red peppers instead. This was much easier, and the red pepper containers added colour and flavour. I baked them for about 20 minutes in a moderate oven. Before serving I scattered on more fresh origanum and rested the peppers on a bed of rocket. Cut the aubergine into cubes and fry with the onions and garlic in three tablespoons of olive oil until the aubergine has softened and browned. Whizz the slices of bread with the origanum until fine crumbs are formed. Mix the aubergine and breadcrumb mixtures with all the other ingredients. Taste. You may need to add more seasoning. Cut 6 small red peppers ( or 4 larger ones) in half horizontally. Fill each with some of the stuffing. Bake in a moderate oven for about 20 minutes. Serve hot with a scattering of more origanum leaves. I've discovered that kids will fill up on lots of healthy Curly Kale if you turn it into oven chips.Curly cale is known as boerenkool in Holland which translates as farmer's cabbage. The first time I made them I added some coconut oil. The second time Becky and I forgot to add this in so the kale chips were just baked with a sprinkling of salt and pepper and they still liked them! So either way is fine, although the coconut oil does add a delicious flavour. 1 bunch of curly kale. Cut/pull the leaves from a bunch of curly kale. Wash them and then dry them very well ( or they will steam rather than crisp up). Patting with paper towels works well. Put them in a large bowl. Add a tablespoon of the coconut oil and massage it into the leaves with your hands until they are covered with a light film of coconut oil. 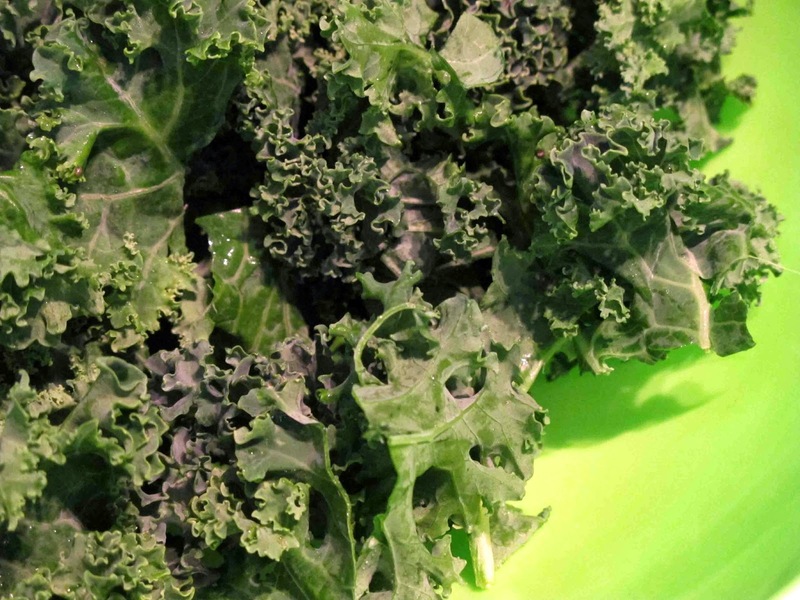 Lay the curly kale leaves in a single layer on a baking paper lined baking sheet. Bake for about 15-20 minutes until they have crisped up. They may need a little longer but watch carefully as within a very short time they can change from crispy green to charred brown. St Patrick's day holds a special place in our hearts being Kate's birthday. 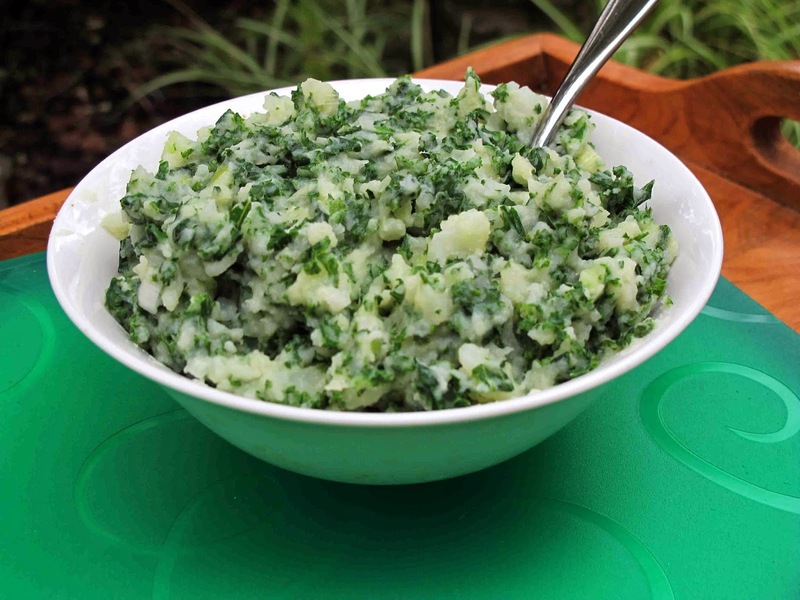 To show the Dutch Irish connection I made a large bowl of colcannon (which is the Irish Cousin of Boerenkool ) The Irish often use curly kale instead of cabbage to make it. The traditional accompaniment in Holland is rookworst, a spicy pork sausage. 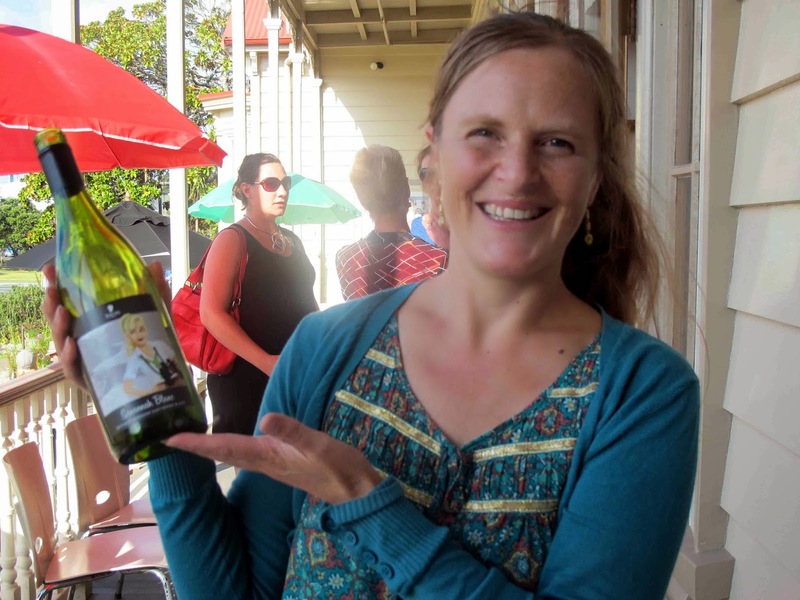 We're lucky, we can buy it from a Dutchman who makes it to a traditional recipe and sells it at our local Takapuna market. The potatoes will be more flavoursome if they are not chopped into pieces before boiling. If you are feeling very decadent you could top each serving with a knob of butter just before serving. Heat 1 heaped tablespoon of butter with 2 tablespoons of water in a large heavy based saucepan. When the butter has melted add the washed curly kale (stalks removed) and a pinch of salt. Toss the kale around in the buttery emulsion for a couple of minutes with a large spoon until it starts to wilt. Put the lid on the saucepan and let it cook for another minute. Then drain off any liquid, season to taste with pepper and leave to cool down a little. Put the curly kale into a food processor and whizz until it is in very small pieces. Boil them in plenty of salted water in a covered saucepan until they are tender all the way through when pierced with a fork. This will take about 30 minutes. Remove them from the stove and mash with a fork. Put the sliced spring onion and trim milk into a microwave safe jug and heat on high for 1 minute. Beat the hot milk and spring onion mixture into the mashed potatoes with the 25g of butter. Add the curly kale and mix everything together well. I usually think of clotted cream as a traditional partner for scones and strawberry jam but today I discovered that it could also be used to create a creamy pasta dish . Our local IE Produce had some Clearwater's clotted cream on special so I also gathered up some mushrooms, basil and pine nuts and stirred them into some pasta. To offset the rich creamy flavour I added a little lemon juice. When this dish has finished baking the top layer of macaroni had developed a little crunch which made it especially good to eat. 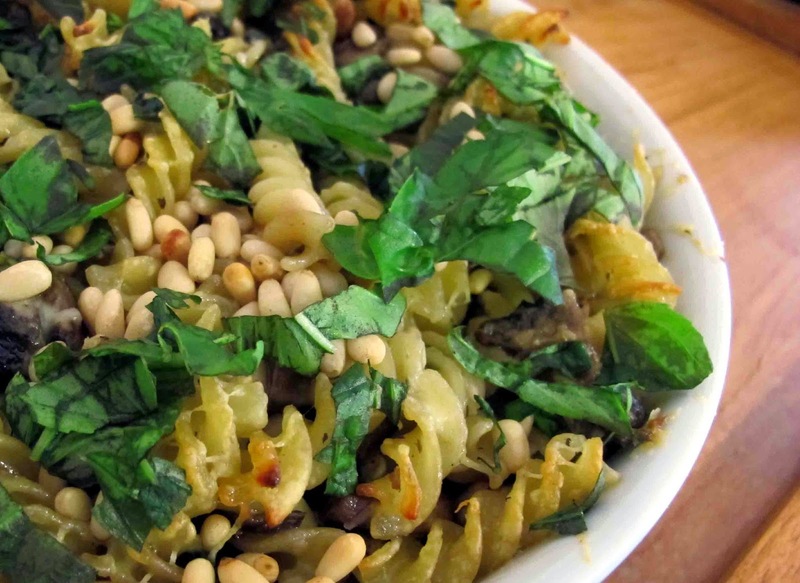 The garnish of shredded basil added a bright green colour contrast. Put the pasta, mushrooms and basil in a large bowl. Stir in the clotted cream, lemon juice and half of the grated cheese. Season to taste with salt and freshly grated black pepper. Place in a 22 cm ovenproof dish. Heat through in a 180C oven for about 20 minutes until it is piping hot and the cheese is a golden brown. Before serving sprinkle the nuts over the top. Garnish with plenty of slivered basil before serving. This is quite a rich dish so I like to serve small helpings with a large salad made with baby spinach leaves, avocado, slices of orange and tomato. Quince conserve is proving to be a very useful addition to my pantry as it can be used in both sweet and savoury dishes. Here I have used it in a recipe which came from Anathoth Farm to make a substantial snack. • Cut bread into slices 1.5cm thick and toast. • Mix Anathoth Farm Quince Conserve with cream cheese. 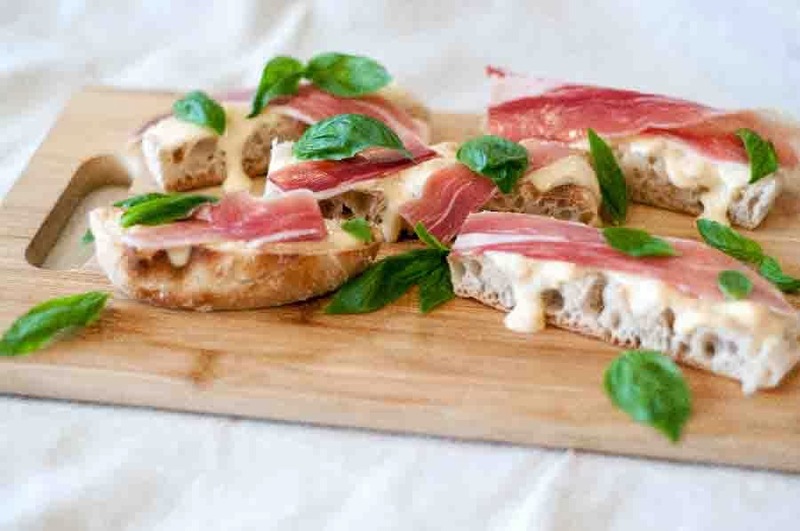 • Place toasted bread slices onto a serving platter, top with quince cream cheese mix and prosciutto slices, scatter with fresh basil leaves and serve. 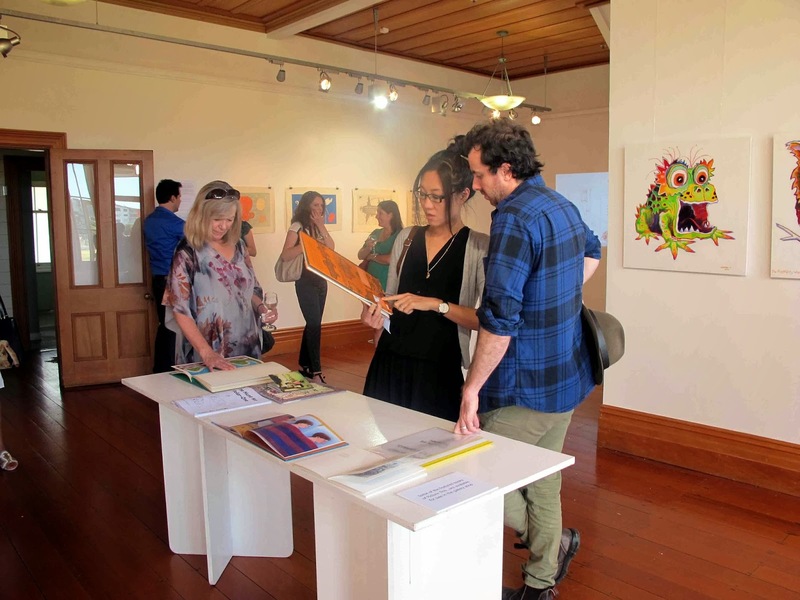 "Picture This", a delightful exhibition of the work of various Children's Book Illustrators opened at the Lake House Arts Centre in Takapuna this evening . 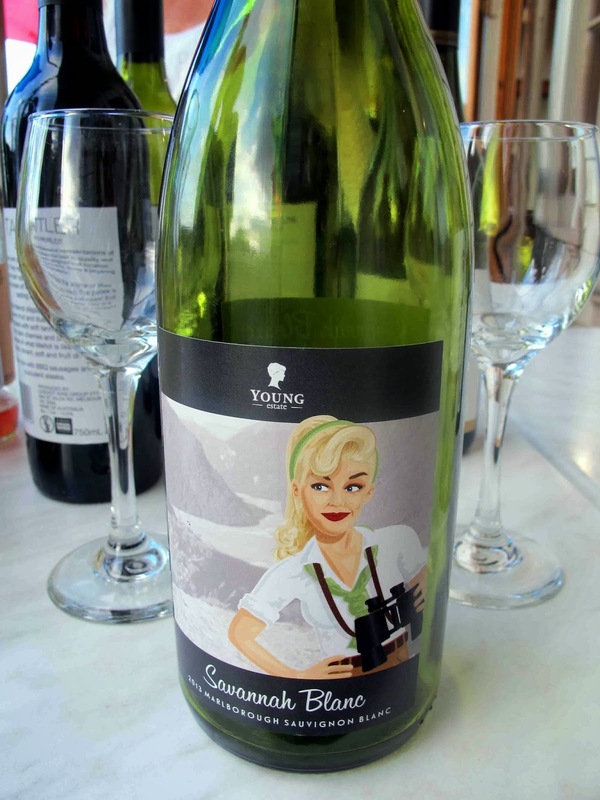 One of the guests brought this bottle of Savannah Blanc made by the Young Winery. Intrigued I checked out the winery on the web and discovered that this is "a wine company specialising in good quality wines with feminine spirit, class and gumption which celebrates the success and contribution women make to society with fabulous wines." It fitted the occasion perfectly as several of the illustrators were highly talented women. 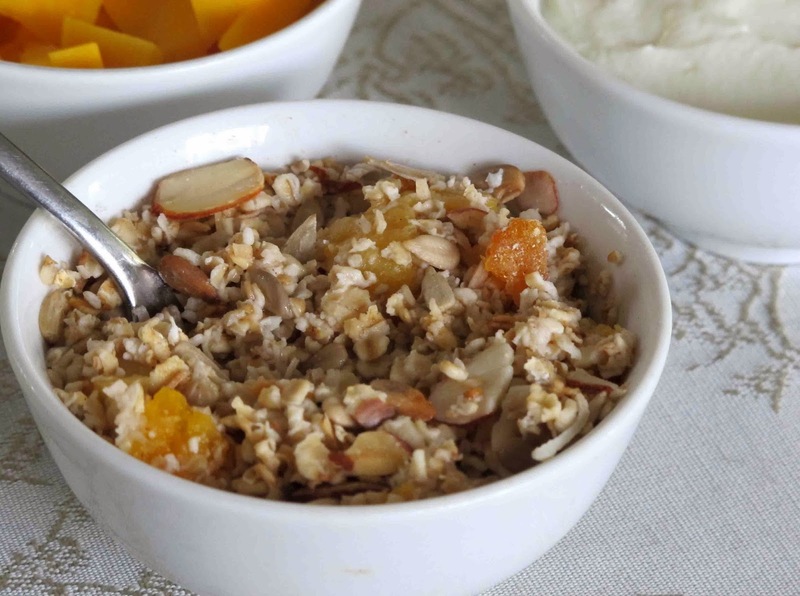 Far too many muesli recipes are laden with sugars and fats of one kind or another, not this one. It is made with toasted nuts, sunflower seeds, dried apricots and almonds and soaked in pure coconut water. Yeah! health in a bowl. After Nick came to visit recently I mended my ways. His approach to life is wonderfully healthy He doesn't toast the organic oats in his muesli recipe at all. But simply mixes a variety of nuts, seeds and some raisins into them . The night before he puts some of this muesli in a bowl, pours over some water and leaves it to soak. By the morning the mixture will have softened but retains some crunch thanks to the nuts. The raisins have added a little sweetness so there is no need for added sugar. He serves it with yoghurt and fruit. It's good! And this muesli will store well in a brown paper bag. In my recipe I haven't quite followed him all the way. I can't resist toasting. So here it is, only a slight adaptation from Nick's original recipe. I toast the muesli for about 20 minutes at 180 degrees C. Then add some chopped dried apricots. For one small but satisfying helping I put 1/3 cup of muesli in a small bowl and pour pure coconut water/or just plain water over the top. It's ready by morning to serve with yoghurt and some sliced mango. 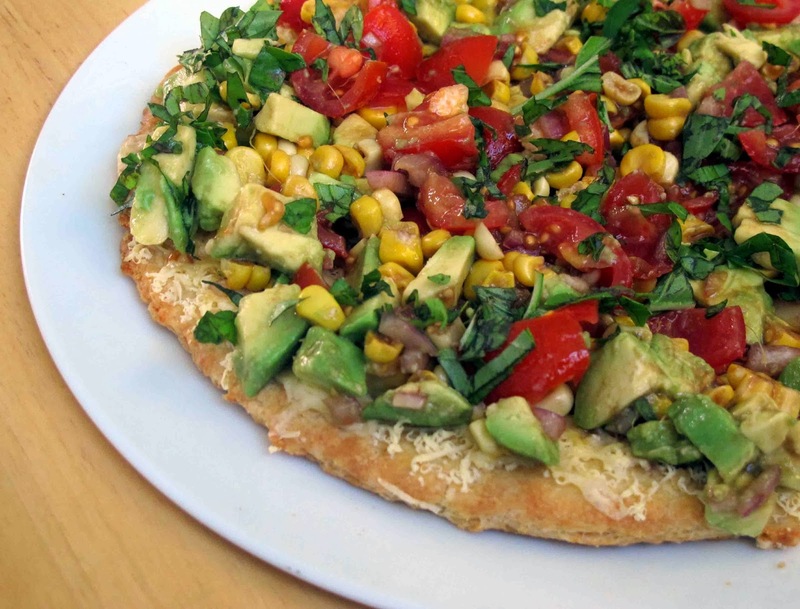 To appease the late afternoon hunger pangs I rummaged through the fridge and found a corn cob, some cherry tomatoes, one avocado and some cheese. And I thought: Could I possibly use these to top a pizza. So I did. 1 tablespoon of white wine vinegar. Cut the chilled butter into small cubes. Sift one cup of self-raising flour and tip into a food processor bowl. Add the cubed butter and whizz together until the mixture resembles breadcrumbs. Tip it into a bowl and lightly stir in the milk. You may need a further tablespoon to make a scone like dough. Roll out thinly on a lightly floured bench top to form a 22cm circle. You will need to turn it over several times as you do this. Transfer to a baking paper lined oven tray. Bake at 200 degrees C for 15-18 minutes until it is has become crispy and golden brown. Take out of the oven and sprinkle generously with 1 cup of grated tasty cheddar cheese. The cheese should go right to the edges of the pizza. Return briefly to the oven to allow the cheese to melt. Take out of the oven and arrange the salad on top while it is still hot. Garnish with slivers of basil. Nicest when warm but can also be served cold.